Sometimes we can all feel our workloads getting us down and our stress levels creeping up. This does nothing for our productivity. Here are my top tips to help keep stress under wraps. There are many ways to force your mind and body to take a much needed chill pill. One of the most effective is to focus on your breathing. We’ve probably all heard this before, but how many of us actually put it into practice? When you feel stress getting the better of you, make a conscious effort to slow down your breathing. Taking long breaths in through the nose and out through the mouth. This will activate your relaxation response. This in turn, lowers your blood pressure and heart rate, relaxing your muscles and increasing blood flow to your brain. Stretch those muscles – sometimes it might seem the only muscle groups being worked are those fingers tapping away at your keyboard. But it’s really important to relieve tension in your body to relieve the tension in your mind. Try a few of these workplace stretches to banish those aches and help you relax. For another quick fix, try some acupressure: place your thumb on the side of your middle finger and press to instantly regulate blood pressure. This may seem like an obvious one, but taking time out of your day to recharge your mental batteries can go a long way to help relieve your stress-head. A five minute walk or a trip to the water cooler (the long way round!) can break the cycle of tension. This does wonders for lifting you out of a rut, leaving you feeling more relaxed when you sit back at your desk. It gives your mind time to catch up and process your priorities for the day. 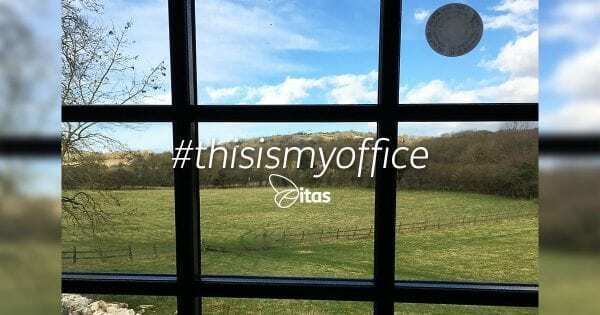 Here at itas, we’re very lucky to be in the heart of the North Wales countryside, surrounded by green fields – an ideal environment to take a short stroll for a breath of fresh air to shake off the stress. Sleeping is the body’s way of rejuvenating. When we don’t get enough sleep or have a restless night, our bodies do not reap the benefits. Vital processes such as muscle repair and memory consolidation are forfeited. We’ve all experienced feeling grumpy and irritable after a bad night’s sleep. But, if we’re regularly not getting enough shut-eye, we run the risk of damaging our physical, and mental health. This makes it more difficult to deal with stressful situations. Taking a power nap at work has also been shown to reduce stress and increase productivity. Although, good luck trying to convince your manager that you haven’t just nodded off at your desk. If you do manage to persuade your employer of the benefits of an afternoon nap, they might want to invest in a few of these for their staff. Designer Athanasia Leivaditou has created a desk that doubles as bed, inspired by her time studying in New York. Our food is our fuel. Our minds and bodies need the right balance of vitamins and nutrients to function correctly. So try ditching the donuts for a handful of blueberries – they’re filled with antioxidants that can help stimulate blood flow to your brain. This keeps your mind fresh, focused and calm. 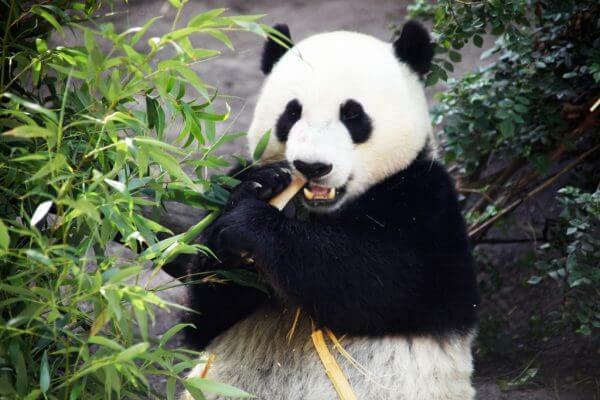 Other superfoods include nuts, dark chocolate, avocados and oily fish (although your colleagues might not thank you for breaking out the mackerel at your desk). Also, try swapping that mid-morning macchiato for a green tea. Whilst still giving you that caffeine kick, green tea contains l-theanine. This is an amino acid that has been shown to promote tranquillity, reduce stress and increase alertness. Now bear with me on this one. It may be a slightly left field. A company in Japan has introduced some feline friends into the office to help staff reduce their stress and increase productivity. Ferray, an IT company based in Tokyo, introduced an ‘office cat’ policy in 2000 after a request from an employee. The office is now home to nine office cats, and workers are also encouraged to bring their own pets to work. The theory is that being around animals can encourage the release of the happiness hormone oxytocin, therefore reducing stress and anxiety. However, if company policy doesn’t allow our four legged friends into building, maybe a fish tank in the office might be easier to implement. According to a study by Plymouth University, published in the journal Environment and Behaviour, watching fish lowers blood pressure and heart rate. Here at itas , we don’t have fish, but we do have a flock of woolly sheep to watch outside the window, which I think is equally relaxing! 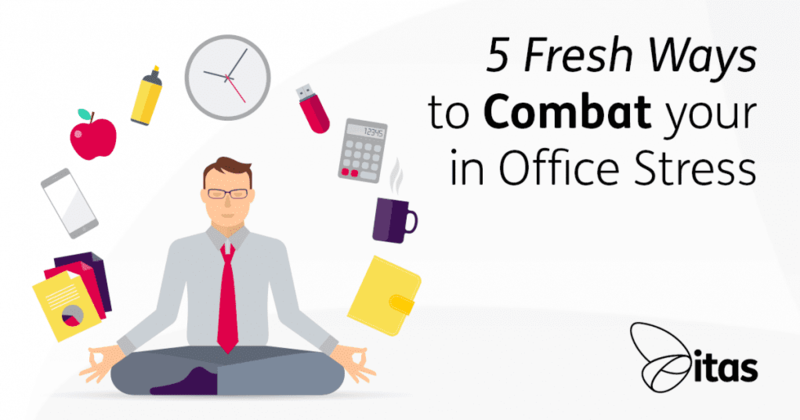 Never mind a paper-free office, go stress-free: have a stretch, take a stroll, eat some fish, pack a blanket, and bring a sheep to work! You are welcome! If you would like to learn more about the team here at itas, get in touch. We would love to chat.